We've Got a Special Rate for You! 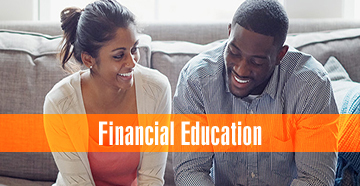 For a limited time, Education First Federal Credit Union is offering a Share Certificate (or, as you may call it, a Certificate of Deposit) account for 25 months with 2.5% APY* for new accounts. Give us a call at 409.898.3770 or 800.456.4684 or visit one of our conveniently located branches. Click here to view branch locations. Already have an account with us? Ask an Education First representative how you can transfer your funds to a Share Certificate account to earn more! If you have any questions regarding a Share Certificate, please fill out the information below and an Education First representative will be in touch with you shortly! Disclosure: APY = Annual Percentage Yield. Withdrawals reduce the amount of earnings. Dividends on certificates are compounded daily and paid monthly. Dividend rate and Annual Percentage Yield are subject to change weekly without notice and at the discretion of EFFCU. A penalty is incurred for early withdrawal of principal on all certificate types. Fees can reduce the earnings of deposit accounts. If you're interested in a Share Certificate but not sure what it is, here is some helpful information!